RENO, Nev., USA—After the first half of the 2016 SCORE World Desert Championship, Southern California racers Ronny Wilson and Rafael Navarro IV find themselves not only leading the point standings in their respective classes, but they are also tied for the top spot in the SCORE Overall point standings. Each with 176 championship points after the first two races of the season, Ronny Wilson, Long Beach, Calif., drives the No. 138 Chevy-powered Jimco open-wheel desert race car in the unlimited Class 1 while Navarro IV, a third generation racer from Temecula, Calif., drives the No. 1009 Alumi Craft-Chevy in Class 10 for 1650cc open-wheel desert race cars. While Ro. Wilson, with primary driving help from family members, has won Class 1 in both races so far this season, Navarro IV finished second in Class 10 in both the SCORE San Felipe 250 in February and the SCORE Baja 500 in early June. Navarro IV drove solo in San Felipe and split driving duties with Vic Bruckmann, Lemon Grove, Calif. in Ensenada. Class 10 had a race-high 22 starters in San Felipe and 26 starters in Ensenada. SCORE Trophy Truck had a race-high 31 starters at the SCORE Baja 500. 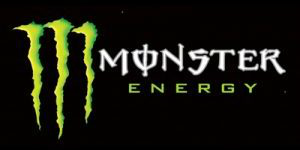 SCORE point regulations for 2016 has all four-races counting for final points, with three minimum, and one of the four races SCORE World Desert Championship that is mandatory to qualify for a class season point championship is for the driver/rider of record to start or finish the SCORE Baja 1000. Ronny Wilson drove solo in the season-opener in San Felipe and had driving help in Ensenada from his brother Randy Wilson and Randy’s son Brian Wilson. Earning his first SCORE race victory in just his first race in the featured SCORE Trophy Truck division for high-tech, 850-horsepower, unlimited production trucks in San Felipe and an eighth-place class finish in Ensenada, leading his class standings after two races is Billy Wilson, 30, of Corpus Christi, Texas in the No. 15 Bevly Wilson Racing Chevy Silverado. B. Wilson is also sixth in SCORE overall points with 164 after moving up following several years of driving in other SCORE truck classes. B. Wilson, no relation to the Wilson family of racers, drives a new race truck built by Jimco Racing Products. Second SCORE Trophy Truck points midway through the season is Mexico’s reigning SCORE overall and SCORE Trophy Truck season point champion Carlos ‘Apdaly’ Lopez, 21, of Tecate, Mexico in the No. 1 RPM Racing Chevy Rally Truck and seventh in SCORE Overall points with 162. Third in SCORE Trophy Truck points is Gary Magness, Denver, in the No. 45 Mango Racing Chevy Silverado. Fourth in SCORE Trophy Truck points with 131 is Mexico’s Gus ‘Tavo’ Vildosola Jr, of Mexicali, who had a rare did-not-finish in San Felipe before winning the SCORE Baja 500 in the No. 21 Mexicana Logistics Vildosola Racing Ford Raptor. Fifth in SCORE Trophy Truck points is Las Vegas’ B.J. Baldwin with 110 points in the No. 97 Monster Energy Baldwin Motorsports Toyota Tundra. With his first overall race win in the SCORE Baja 500, Vildosola Jr became one of just nine racers in SCORE history in the SCORE Baja Triple Crown group that has won the overall title in all three traditional SCORE Baja races—the SCORE San Felipe 250, the SCORE Baja 500 and the SCORE Baja 1000. Other members of the elite group of legendary SCORE desert racers besides Vildosola Jr are Dave Ashley, Robby Gordon, Rob MacCachren, Andy McMillin, Scott McMillin, Larry Ragland, Dan Smith and Ivan Stewart. In addition to overall point co-leaders Ronny Wilson and Navarro IV along with Billy Wilson in seventh, nine other classes have at least one racer in the top 25 SCORE Overall point standings after two races in 2016. The classes in the top 25 are the unlimited Class 1 (five racers), Class 10 (five), SCORE Trophy Truck (three), Trophy Truck Spec (three), Class 1/2-1600 (three), Pro UTV (two) along with additional class point leaders in Class 8, Class 5, Pro UTV FI and Class 11. Among the other class leaders also in the top 25 in SCORE Overall points midway through the season include Chad Broughton, Scotts Valley, Calif., tied for fourth in SCORE Overall points and leading Trophy Truck Spec with 165 points in the No. 202 BajaLite-Chevy and Noe Gutierrez, Ensenada, Mexico, ninth overall and leading Class 11 with 152 points in the No. 1103 stock VW Sedan. Tied for 12th in SCORE overall points with 150 each, leading their respective classes are Victor Cesana, Cabo San Lucas, Mexico in Class 5 in the No. 500 unlimited VW Baja Bug, Aaron Ampudia, Ensenada, Mexico in Class 8 in the No. 836 Ford F-150 and Alonzo Lopez, Murrieta, Calif. who is leading Pro UTV in the No. 1949 Polaris RZR XP1000. Other class leaders in the top 25 are Jorge Sampietro, Ensenada, Mexico who is 16th overall and leads Class 1/2-1600 with 149 points in the No. 1697 Romo-VW and leading Pro UTV FI and tied for 24th overall with 145 points is Marc Burnett, Lakeside, Calif. in the No. 2905 Polaris RZR XP1000Turbo. Also in the top 25 SCORE overall points from Class 1 are Scott Reuschenberg, Phoenix, eighth overall with 162 points and second in class in the No. 125 Tatum-Chevy, Brad Wilson, Lakewood, Calif., tied for 12th overall with 150 points and third in class in the No. 153 Jimco-Chevy, Derek Fletcher, Abingdon, Va., tied for 19th overall with 147 points and third in class in the No. 106 Tatum-Chevy and Al Torres, El Centro, Calif., tied for 21st overall with 146 points and fifth in class in the No. 114 Jimco-Chevy. The other Class 10 racers currently in the top 25 overall point standings are Todd Winslow and his son Matt, both of Clovis, Calif., third in SCORE Overall points and second in Class 10 with 173 points in the No. 1081 Alumi Craft-Chevy, Luis Salgado, Mexicali, Mexico, tied for fourth overall and third in Class 10 in the No. 1088 Jimco-Honda (165), Mike Lawrence, Sunset Beach, Calif., tied for 10th overall and fourth in Class 10 in the No. 1058 LMS-Chevy (151) and Armando Boehme, Royce City, Texas, tied for 17th overall and fifth in Class 10 in the No. 1060 Jimco-Chevy (148). In Trophy Truck Spec the other two racers in the top 25 in overall points are Craig Christy, Burbank, Calif., tied for 10th in overall points with 151 and second in class in the No. 220 Brenthel-Chevy and Elias Hanna, Ensenada, Mexico, tied for 17th in overall points with 148 and third in class in the No. 274 Chevy Silverado. Other drivers in the top 25 in Class 1/2-1600 are Ruben Sanudo, San Felipe, Mexico, tied for 21st with 146 points and second in class in the No. 1606 Romo-VW and Ramon Bio, Spring Valley, Calif., tied for 24th overall with 145 points and third in class in the No. 1616 Tubular Design-VW. The other driver in the top 25 after the SCORE Baja 500 is Pro UTV racer David Nance, Costa Mesa, Calif., tied for 21st overall and second in Pro UTV with 146 points in the No. 1992 Polaris RZR XP4. The 2016 SCORE Overall Motorcycle and Pro Moto Unlimited point leader duo of Colton Udall, Yucca Valley, Calif./Mark Samuels, Yucca Valley, Calif. with 154 points and two race wins in 2016. Winning the SCORE San Felipe 250 for the fifth time in the last six years, Colton Udall, Yucca Valley, Calif. (No. 1x Honda CRF450X) has 66 points. Udall’s splits the riding with teammate Mark Samuels, Yucca Valley, Calif.
With two wins so far in 2016, Alonso Lopez, Murrieta, Calif., is the overall SCORE UTV point leader and Pro UTV FI point leader with 149 points after winning both races in the No. 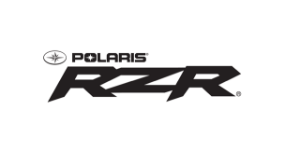 2905 Polaris RZR XP1000Turbo. The 2016 Overall Quad point leader after winning both of the first two races in 2016 is the team led by Javier Robles Jr, Guadalupe Victoria, Mexico (Pro Quad, Honda TRX450R). His co-riders include Josh Row, El Cajon, Calif. and Felipe Velez, San Felipe, Mexico. After sitting out this year’s SCORE San Felipe 250, Larry Connor, Miamisburg, Ohio has now won seven straight SCORE races he has entered in the Trophy Truck Spec class. Waiting to debut his new SCORE Trophy Truck, Connor was the second driver for Steven Eugenio for the SCORE Baja 500 winning the Trophy Truck Spec class as well as finishing 14th overall in the No. 207 Mason-Chevy. After leading teams to victory in both Pro Moto Limited and Pro Moto 50 at the SCORE Baja 500, Make Winkelman, Cedar Hill, Texas, now leads both class point standings. Winkelman and his team race a Husqvarna 350 in the Pro Moto Limited Class and a Honda CRF50X in Pro Moto 50. 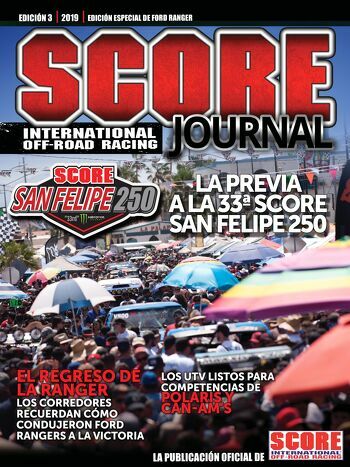 Among the other 2016 SCORE class point leaders after the SCORE Baja 500 are: Dan Chamlee, Santa Barbara, Calif. (Class 7, Ford Ranger), Rodolfo Martinez, Ensenada, Mexico (Classs 5/1600, VW Baja Bug and Eric Palacios, Las Vegas (SCORE Lites, Chenowth-VW). Tied for first in Pro Moto 40 are the tandems led by Jano Montoya, Winter Garden, Fla. (KTM 450XCW) and Mike Johnson, El Paso, Texas (Honda CRF450X). The 2016 Sportsman motorcycle point leader is Kristopher Harvey, Yuma, Ariz. with 141 points on the No. 230x Honda CRF450X. Leading the Sportsman Quad division with 142 points is Eddie Bareno, Mexicali, Mexico on the No. 123a Honda TRX450R. 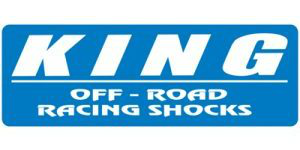 King Shocks, SCORE’s Official Shock Absorber, is offering a special contingency cash prize this year. For the recent SCORE Baja 500, the fastest vehicle through Check Point 2 (race mile 202.3) to Check Point 3 (rm329.87) on corrected elapsed time earned the choice of either a $4,000 cash prize or $5,000 in credit for King Shocks parts or service. Winning the first King Shock Zone award at this year’s SCORE San Felipe 250 was Mexico’s Gus Vildosola Jr, driver of the No. 21 Mexicana Logistics Ford Raptor in the marquee SCORE Trophy Truck division. Vildosola Jr backed it up by winning the award again at the SCORE Baja 500. Additional SCORE Partners: Proturismo Ensenada, Visit Baja California Sur, Baja California Secretary of Tourism, Baja California Sur State Government, Mexicali Ayuntamineto, COTUCO Mexicali/San Felipe, Cruz Roja Mexicana, Corporate Helicopters, Instant Mexico Auto Insurance, GoPro, McKenzie’s Performance Products, Advanced Color Graphics. SCORE TROPHY TRUCK—1. Billy Wilson, Corpus Christi, Texas, Chevy Silverado (1), 71; 2. Carlos ‘Apdaly’ Lopez, Tecate, Mexico, Chevy Rally Truck, 162; 3. Gary Magness/Devin Housh, Desert Hot Springs, Calif., Ford F-150, 147; 4. Gus ‘Tavo’ Vildosola, Mexicali, Mexico, Ford Raptor (1), 131; 5. B.J. Baldwin, Las Vegas, Toyota Tundra, 110; 6. Rob MacCachren, Las Vegas, Ford F-150, 105; 7. Troy Herbst, Las Vegas/Ryan Arciero, Foothill Ranch, Calif., Ford F-150, 98; 8. Andy McMillin, San Diego, Ford Raptor, 96; 9. Bryce Menzies, Las Vegas, Ford Raptor, 94; 10. Dan McMillin, La Mesa, Calif., Ford F-150, 94. CLASS 1—1. Ronny Wilson, Long Beach, Calif., Jimco-Chevy (2), 176; 2. Scott Rueschenberg, Phoenix/Andy Grider, Los Olivos, Calif., Tatum-Chevy, 154; 3. Brad Wilson, Long Beach, Calif./Kyle Quinn, Irvine, Calif., 150; 4. Derek Fletcher, Abingdon, Va./Christyan Samano, Ensenada, Mexico, Tatum-Chevy, 147; 5. Al Torres, Calexico, Calif., Jimco-Chevy, 146; 6. Jamie Huerta Jr, Calexico, Calif., Racer-Chevy, 139; 7. George Peters, Newbury Park, Calif., Racer-Chevy, 137; 8. Justin Davis, Chino Hills, Calif., Porter-Chevy, 112. TROPHY TRUCK SPEC—1. Chad Broughton, Scotts Valley, Calif., BajaLite-Chevy (1), 165; 2. Craig Christy, Burbank, Calif./ Brenthel-Chevy, 151; 3. Elias Hanna, Ensenada, Mexico, Chevy Silverado, 148; 4. Gonzalo Pirron, Quartz Hill, Calif., Chevy Silverado, 141; 5. Pat Simms, Eunice, N.M., Brenthel-Chevy, 104; 6. (TIE) Steven Eugenio, Carlsbad, Calif./Larry Connor, Miamisburg, Ohio, Mason-Chevy (1) and Miles Wyatt, Brawley, Calif., Chevy Silverado, 97. CLASS 10—1. Rafael Navarro IV, Temecula, Calif./Vic Bruckmann, Lemon Grove, Calif., Alumi Craft-Chevy (1), 176; 2. Todd Winslow, Clovis, Calif./Matt Winslow, Clovis, Calif., Alumi Craft-Chevy (1), 173; 3. Sergio Salgado, Mexicali, Mexico/Luis Salgado, Mexicali, Jimco-Honda, 165; 4. Mike Lawrence, Sunset Beach, Calif., LMS-Chevy, 151; 5. Armando Boehme, Royce City, Texas, Jimco-Chevy, 148; 6. Scott Youngren, Fallbrook, Calif., Duvall-Chevy, 142. ALSO: 9. Patrick Dailey, Bonsall, Calif., Raceco-Chevy (1), 106. CLASS 2—1. Jeff Proctor, San Dimas, Calif./Jason La Fortune, Upland, Calif., Honda Ridgeline (1), 85. CLASS 8—1. Aaron Ampudia, Ensenada, Mexico/Alan Ampudia, Ensenada, Ford F-150 (2), 150. CLASS 1/2-1600—1. Jorge Sampietro, Ensenada, Mexico/Esteban Sampietro, Ensenada/Misael Arambula, Tijuana, Mexico, Romo-VW (1), 140; 2. Ruben Sanudo, San Felipe, Mexico, Romo-VW, 146; 3. Ramon Bio, Spring Valley, Calif./Cisco Bio, Spring Valley, Calif., 145. SCORE LITES—1. Eric Palacios, Las Vegas, Chenowth-VW, 136; 2. Cesar Vela, Zapopan, Mexico, BRP-VW, 130; 3. Miguel Tornel Jr, Chula Vista, Calif., Penhall-VW, 100; 4. 98Luis Barragan, Mexicali, Mexico/Luis Barragan Jr, Mexicali, Seagrove-VW (1), 98; 5. Oliver Flemate, Ensenada, Mexico/J. David Ruvalcaba, Ensenada, Mexico, Downing-VW (1), 93. CLASS 5—1. Victor Cesena, Cabo San Lucas, Mexico/Gerardo Iribe, Santa Ana, Calif. VW Baja Bug (2), 150; 2. Ben Swift, San Diego, VW Baja Bug, 138. HEAVY METAL—1. Carlos Fonseca, Calexico, Calif., Ford F-150 (1), 85. CLASS 7—1. Dan Chamlee, Santa Barbara, Calif., Ford Ranger, 130; 2. Pete Sohren, Glendale, Ariz., Ford Ranger (1), 95; 3. Dallas Luttrell, Las Vegas, Chevy S-10 (1), 88. PRO UTV FI—1. Marc Burnett, Lakeside, Calif./Fernando Flores, Ensenada, Mexico, Polaris RZR XP1000Turbo (1), 145; 2. (TIE) Mike Cafro, Fallbrook, Calif./Jamie Kirkpatrick, Olympia, Wash., Polaris RZR XP1000 and Derek Murray/Jason Murray, Eastvale, Calif., Can-Am Maverick Max, 138; 4. Cory Sappington, Peoria, Ariz./Scott Sappington, Glendale, Ariz., Can-Am Maverick Max Turbo, 135; 5. Brandon Schueler, Phoenix, Polaris RZR XPTurbo, 130. ALSO: 7. Wayne Matlock, Alpine, Calif., Polaris RZR XP4 Turbo (1), 94. PRO UTV—1. Alonzo Lopez, Murrieta, Calif./Francisco Rodriguez, Murrieta, Calif., Polaris RZR XP1000 (1), 149; 2. David Nance, Costa Mesa, Calif./Kent Pfeiffer, Costa Mesa, Calif./Zach Goemer, Polaris RZR XP1000 (1), 146; 3. Thomas Graves, El Cajon, Calif./Richard Morel, Poway, Calif., Polaris RZR900, 89; 4.John Estrada, Glendale, Ariz., Polaris XP1000, 88; 5. Kristen Matlock, Alpine, Calif., Polaris RZR XP1000, 84. CLASS 5-1600—1. Rodolfo Martinez, Ensenada, Mexico, VW Baja Bug (1), 87; 2. Salvador Carrillo, Woodland, Calif., VW Baja Bug, 81. ALSO: 5. David Heredia, Ensenada, Mexico/Armando Garcia, Ensenada, VW Baja Bug (1), 65. BAJA CHALLENGE—1. JP DeVillars, Boston, Mass., BTC-Subaru (1), 85. CLASS 11—1. Noe Gutierrez, Ensenada, Mexico, VW Sedan (2), 152; 2. Rene Rodriguez, Ensenada, Mexico, VW Sedan, 129; 3. Art Penner, Lynden, Wash. (Canada)/Andrew Penner, Lynden, Wash., VW Sedan, 89. PRO MOTO UNLIMITED—1. Colton Udall, Yucca Valley, Calif./Mark Samuels, Yucca Valley, Honda CRF450X (2), 154; 2. Francisco Arredondo, Guatemala/Ryan Penhall, Corona, Calif./Shane Esposito, Menifee, Calif./Robert Villalobos, Dulzura, Calif./Justin Morgan, El Cajon, Calif., Honda CRF450X, 142; 3. Kevin Murphy, Fresno, Calif., Husqvarna FE510, 134; 4. Ray Dal Soglio, Scottsdale, Ariz./Nick Garvin, Ladera Ranch, Calif./Ian Young, San Clemente, Calif., Honda CRF450X, 128. PRO MOTO LIMITED—1. Mark Winkelman, Cedar Hill, Texas, Jim O’Neal, Simi Valley, Calif./Max Eddy Jr, Barstow, Calif./Austin Miller/Scott Myers, Encinitas, Calif./Grant Stanley, Alpine, Calif., Husqvarna 350, 144; 2. Garrett Poucher, Valencia, Calif./Michael Valenzuela, Tijuana, Mexico, KTM350XCF (1), 95. PRO MOTO 40—1. (TIED) Jano Montoya, Winter Garden, Fla./Francisco Septien, Ensenada, Mexico/Gerardo Rojas, Vicente Guerrero, Mexico, KTM 450XCW (1) and Mike Johnson, El Paso, Texas/Rex Cameron, Albuquerque, N.M./Jason Trubey, Bullhead City, Ariz., Honda CRF450X (1), 149; 3. Colie Potter, Las Vegas/Sterlyn Rigsby, Temecula, Calif./Dave Glass, Menifee, Calif./Lendon Smith, Hemet, Calif./Robert Lightfeldt, Hemet, Calif./Steve Herstad, Bakersfield, Calif., Honda CRF450X, 135. PRO MOTO IRONMAN—1. Carlin Dunne, Santa Barbara, Calif., Honda CRF450X (1), 146; 2. Tony Gera, Santa Cruz, Calif., Kawasaki KX500 (1), 99; 3. Michael Skurkis, Henderson, Nev., KTM 500XCW, 93. PRO MOTO 50—1. Mark Winkelman, Cedar Hill, Texas/Jim O’Neal, Simi Valley, Calif./Louie Franco, Sherman Oaks, Calif./Jeff Kaplan, Thousand Oaks, Calif./Brian Campbell, Bakersfield, Calif., Honda CRF450X (2), 150; 2. Michael Garvin, Rancho Santa Margarita, Calif./Chuck Shortt, Lake Spur, Colo./Bill Sekeres, Agua Dulce, Calif./Lester Lehigh, Bishop, Calif., Honda CRF450X, 92. PRO MOTO 60—1. Mark Hawley, Anaheim, Calif./Andy Kirker, Lake Forest, Calif./Dennis Greene, Palm Springs, Calif./Dennis McLaughlin, Reno, Nev./John Marshall, San Dimas, Calif., Honda CRF450X (1), 85. PRO QUAD—1. Javier Robles Jr, Guadalupe Victoria, Mexico/Josh Row, El Cajon, Calif./Felipe Velez, San Felipe, Mexico/Jose Meza Velez, San Felipe/Julio Banda, Mexicali, Mexico, Honda TRX450R (2), 65; 2. Said Sanchez, Tijuana, Mexico/Ramon Torres, Ensenada, Mexico/Adolfo Arellano, Ensenada, Mexico/Cesar Lopez, Santee, Calif., Honda TRX450R, 134. SPT UTV—1. Jorge Navarro, Guadalajara, Mexico, Polaris RZR XP900 (1), 65. SPT MOTO—1. Kristopher Harvey, Yuma, Ariz., Honda CRF450X (1), 141. SPT QUAD—1. Eddie Bareno, Mexicali, Mexico, Honda TRX450R (1), 142.